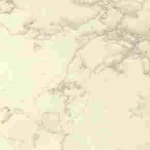 Perlino Bianco Marble is available in 3cm slabs and cut to size projects. CCS Stone, Inc. is a high quality natural stone importer and fabricator located in Northern New Jersey. We ship slabs and cut to size projects of Perlino Bianco Marble to stone professionals around the United States, Canada and the Caribbean Islands.